Photo by Thomas Annan in High Street slum A history of New Zealand's wool industry. Photo by Thomas Annan in 1867 of a 'close' leading off High Street in Glasgow. 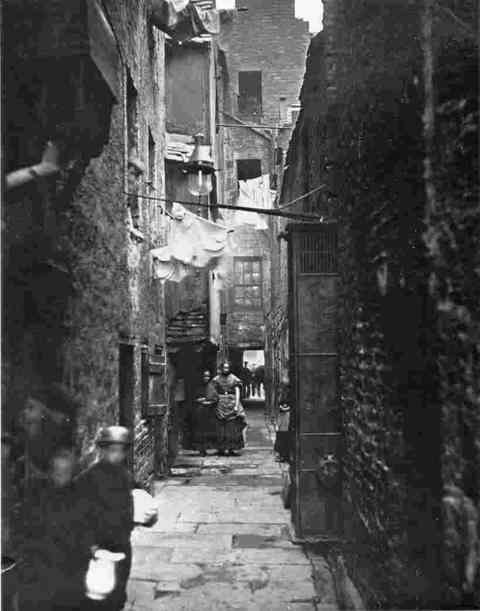 Annan was commissioned by the Glasgow City Council to photograph this and other slum areas, before urban renewal took place in the old part of the city. High Street was close to Saltmarket Street, where the MacGibbon family had its shop and residence. Many similar closes led off Saltmarket Street.